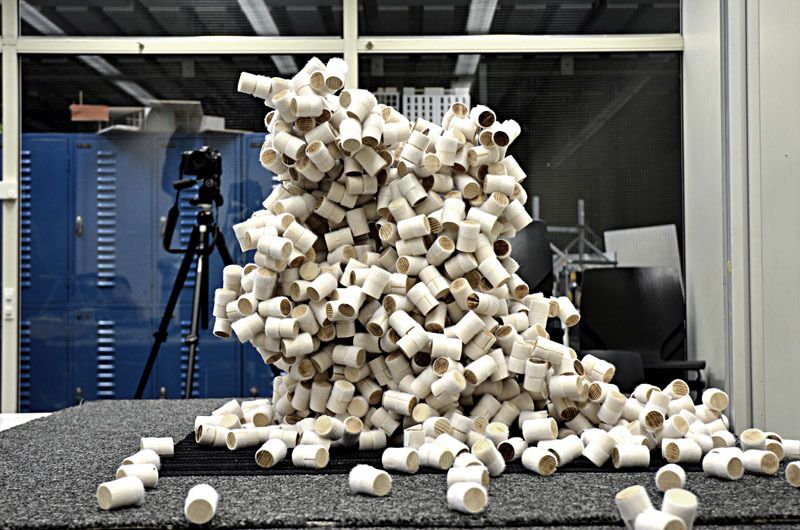 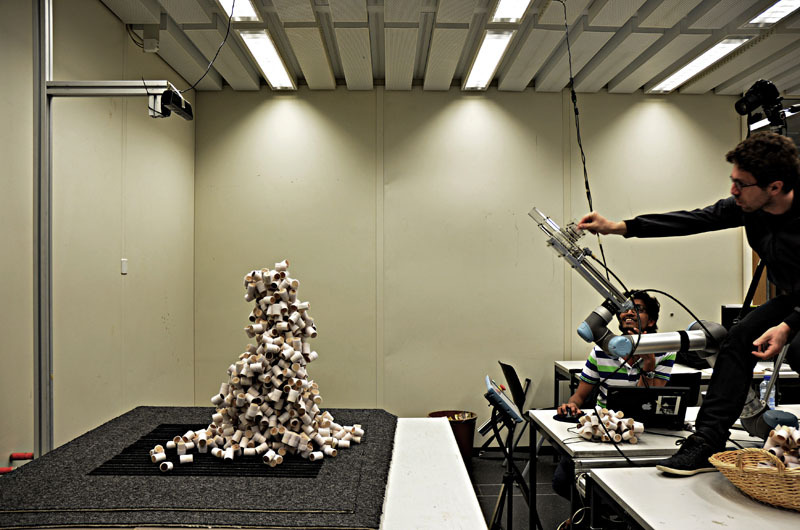 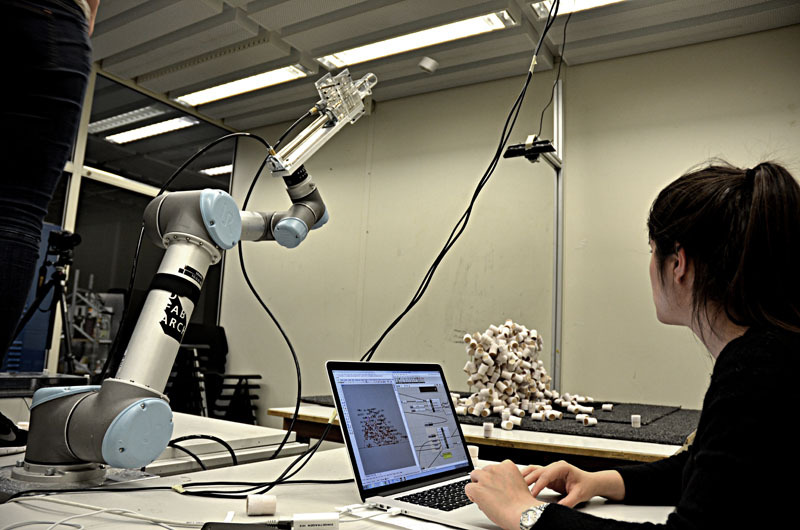 Remote Material Deposition explores the idea of robotically positioning material in space from a distance and thereby creating differentiated architectural aggregations that are a direct expression of a dynamic and adaptive fabrication process. 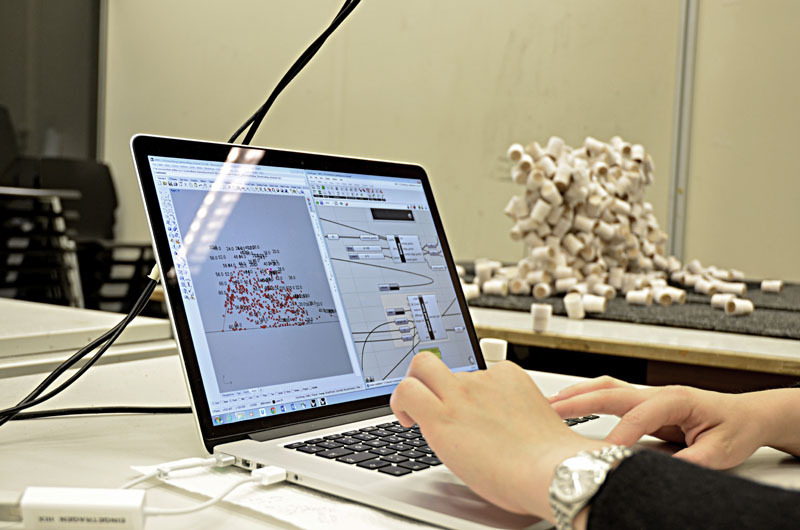 As such, the elective course focused on the bi-directional link between digital and material processes, data and construction, and its integration within the architectural design. 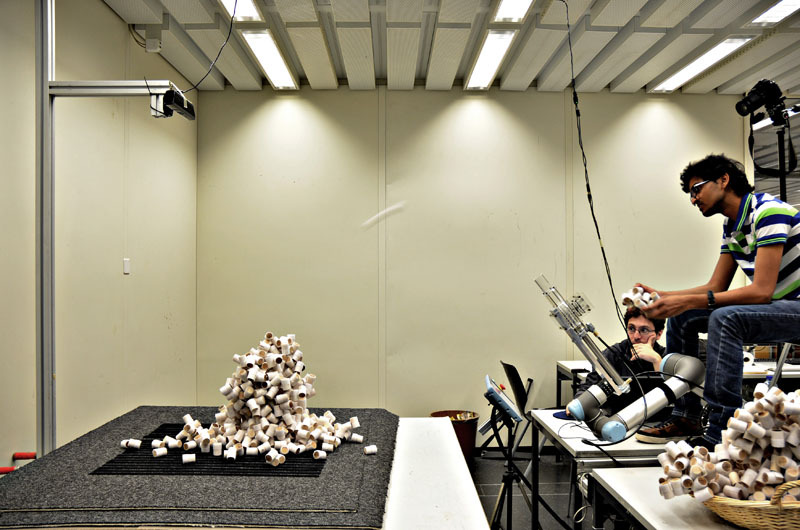 This approach was tested and validated through a series of scaled prototypical structures – not only broadening the tectonic spectrum but also asserting a specific architectural expression as a result of incorporating adaptive fabrication logic directly into the design process.